A fresh approach for cleaning home medical masks and accessories: Citrus II CPAP Mask Wipes clean, deodorize and refresh, leaving no residual after-odors! 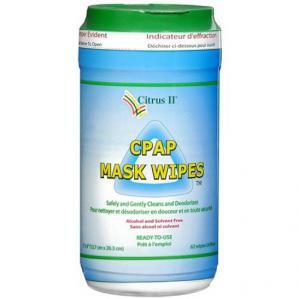 Just like other Citrus II Mask cleaners, the CPAP Wipes contain gentle ingredients that are derived from corn, coconut and citrus. NO RINSING REQUIRED; just wipe the mask clean and it dries in seconds!